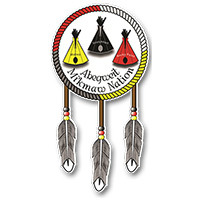 The Abegweit Mi’kmaq Youth Achieve Strategy is a community-based partnership-driven strategy that will engage youth and community stakeholders in the development of programs, activities and initiatives designed to ensure youth have what they need to be healthy and successful. The Reach for the Stars program, an innovative and evidence-based after-school program for youth in junior high, provides activities and supports for students who are at risk of developing mental health and addiction challenges. The PEI Queer Youth Collective is a low-barrier social support initiative designed to promote community connection, community leadership, resiliency and psychosocial well-being among LGBTQ2+ identified youth and youth allies. Group meetings are currently held in Summerside and Charlottetown. The Youth Mentorship Initiative works to support junior high school students from the Community of St. Peter’s Bay who are living in, or who are at risk of living in, poverty. Through classroom sessions, hands-on learning experiences and mentorship, this program will empower youth and provide them with the tools needed to achieve academic success and reach their highest potential. Golden Opportunities will complement the current afterschool program offering those who are unable to participate in traditional team sports, the opportunity to play hockey and other sports at no cost. Participants will receive training, play against other teams, be offered a sense of belonging with a goal to enhance their mental health and have fun. Project Backpack is a free program that supplies nutritious food, healthy living information, education materials, and recipes to families in our community who are experiencing food insecurity. Project Backpack bags are dropped off to participating families every Friday, and are filled with a wide variety of healthy food to last the whole weekend. Participants also attend cooking classes and seminars where they work with a dietician to learn about shopping smart, kitchen safety, meal preparation, easy recipes and healthy eating habits. CNIB will be offering multiple recreational activities and programs to Islander with vision loss to help increase their quality of life by enhancing the happiness, health and confidence. Participants will be offered the opportunity to gains skills, develop meaningful relationships, to better integrate into their community, with the goal of decreasing feelings of isolation and depression. Wild Child provides opportunities for children to get active in an unstructured outdoor environment with trained facilitators who have a passion for nature and working with children. Program supports healthy child development by promoting physical activity, encouraging prosocial behaviours, improved coping skills, increased confidence and enhanced emotional development.